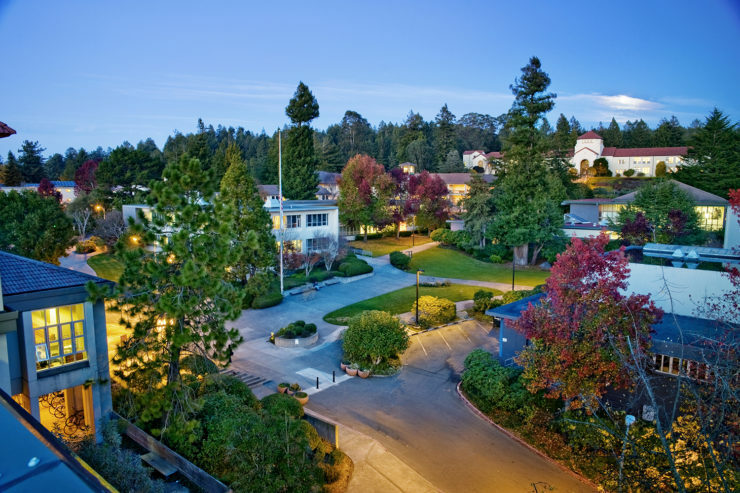 Humboldt State University has set ambitious climate action goals, including a target to achieve an 80% reduction in greenhouse gas emissions relative to 1990 levels by 2040. This panel will highlight the challenges and opportunities at HSU for reducing energy use and greenhouse gas emissions. The discussion will include an overview of energy use patterns on campus, current approaches for reducing energy use and emissions, and possible future strategies to make progress toward the campus’ climate action goals. The panel will be moderated by Schatz Center Director Arne Jacobson. Andrea Alstone is an Energy Planner and Analyst in Facilities Management at HSU, where she is responsible for tracking campus energy use and planning for its future. Her prior work on energy issues includes projects at the Redwood Coast Energy Authority, Lawrence Berkeley National Lab, and the Schatz Center. Morgan King is a Climate Action Analyst in Facilities Management at HSU, where he facilitates climate action and resiliency planning, advises students, and furthers the infusion of sustainability into campus operations and academics. Morgan has over 20 years of experience working in sustainability, environmental education and green workforce development. Gwelen Paliaga is the Technical Director within TRC’s Research and Technology Commercialization practice. He has 15 years of experience in commercial building energy efficiency and building science research, with expertise in design and operation of high performance buildings, research and emerging technology, and codes and standards development. Oona Smith is a Senior Planner for the Humboldt County Association of Governments — a Regional Transportation Planning Agency — where she promotes public transit, walking, and bicycling. She earned a Master’s degree in International Development Technology from HSU. The Sustainable Futures Speaker Series stimulates interdisciplinary collaboration around issues related to energy, the environment, and society. All lectures are free and open to the public, and are sponsored by the Schatz Center, the Environment & Community graduate program, and the College of Arts, Humanities & Social Sciences at Humboldt State. Spring 2019 lectures will be held on Thursdays from 5:30 – 7:00 pm in Founders Hall 118. Download the HSU campus accessible parking map. For additional details on upcoming events or to request accessibility accommodations, email serc@humboldt.edu or call (707) 826-4345. Sign up for the latest Schatz Center info, including speaker events, on our news page.